Adopt a Tree: Grow the MayDay Forest! This 45 Annual MayDay 2019 holds an initiative to plant 1,035 Trees. 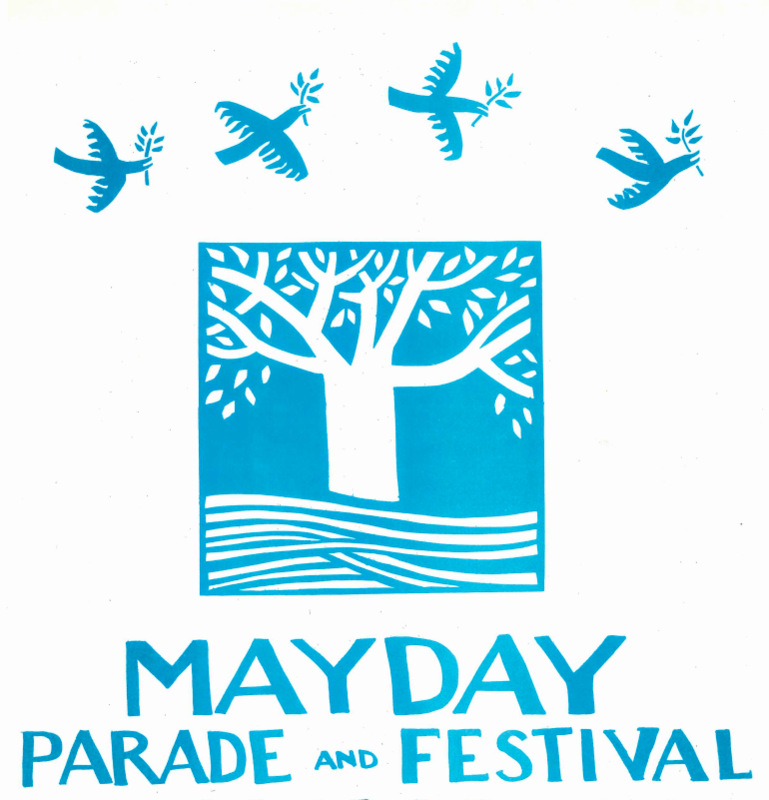 This is an act of GRATITUDE and RECIPROCITY to honor the many gifts that trees have provided for the 45 years of Mayday—all the paper and cardboard used to build the puppets, all the slender poles that became frames for puppets, floats and flags, and all the beauty and breath the trees brought us with their Springtime glory. It is also an act of love for the HEALTH OF THE FUTURE, as this will greatly add to the “Urban Tree Canopy” for generations to come. This initiative is to plant trees for every year of past MayDay celebrations: 1 tree for the first year, 2 trees for the second year, 3 trees for the year, 4 trees for the 4th year, etc. Added together, this equals 1,035 trees. Yes indeed! We will be carrying these trees in the MayDay Parade and Ceremony. We would like all the trees to be adopted. Sign up to be a tree planter here and we will be in contact in the next few weeks! See below for Frequently Asked Questions and instructions on how to plant and tend your Tree. You can be one of the people who will plant and tend a tree. The trees are free, a gift from the MN Department of Natural Resources. We will have native trees that are well suited for our climate. and we will be in contact in the next few weeks! Are the trees native to MN? Yes! We will have two types of trees, Coffeetree and White Spruce (limited availability). They are native to MN and well suited to our climate. Can I have more than one tree? Yes! You are welcome to as many trees as you can responsibly care for. When can I pick up my tree? How should I plant my tree? How should I care for my tree? I don’t have a place to plant a tree. Can I still be involved? Yes! You have a few options: you can walk in the parade even if you can’t plant a tree. You can join our volunteer team and help with logistics for the parade. Not a homeowner? Plant a tree at your school, community center, faith community, etc. We encourage people to collaborate and share space so that as many trees can be planted by as many people as possible!